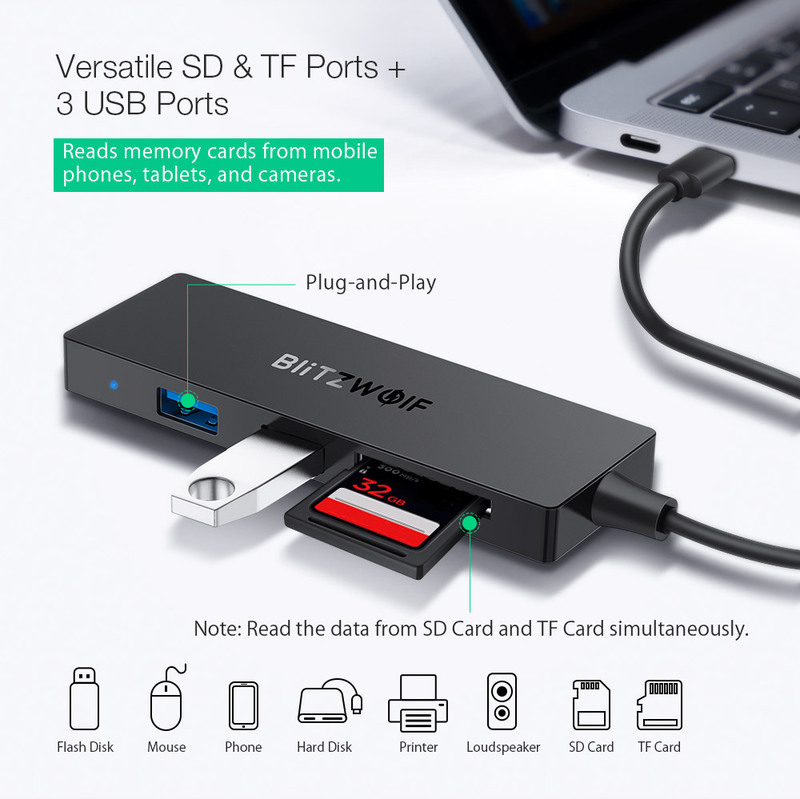 TF & SD Card Reader - Built-in USB 3.0 card reader can easily transfer your pictures, videos or other files in your PC, phones or tablets. 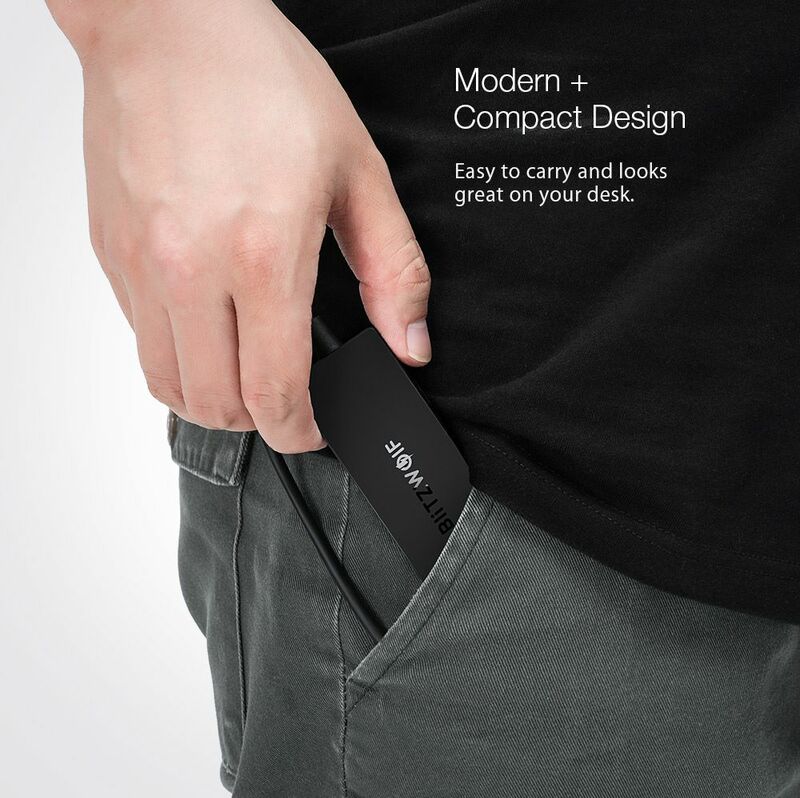 Both card slots can be read at the same time. 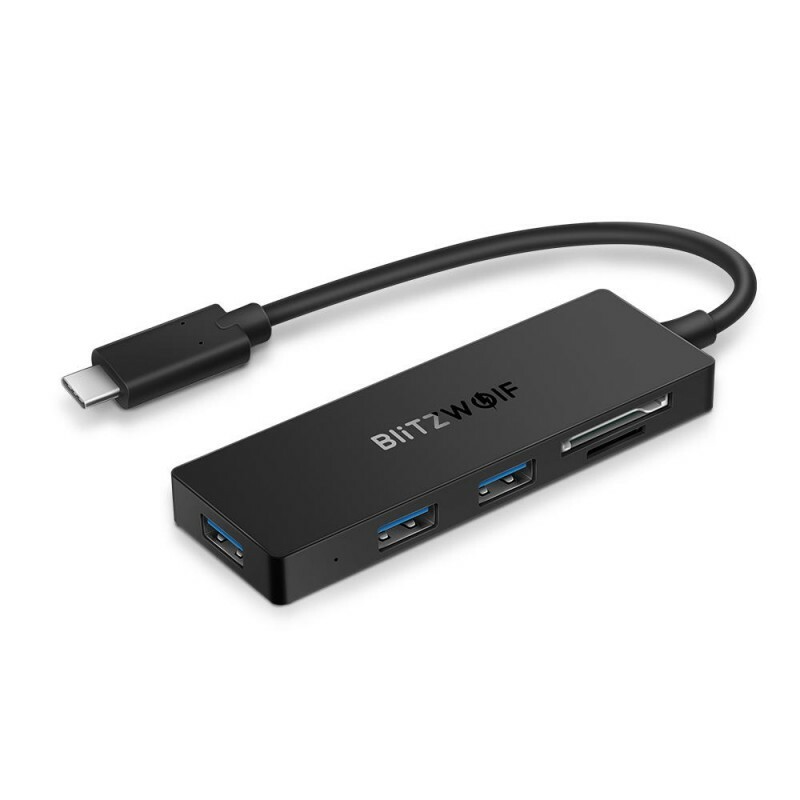 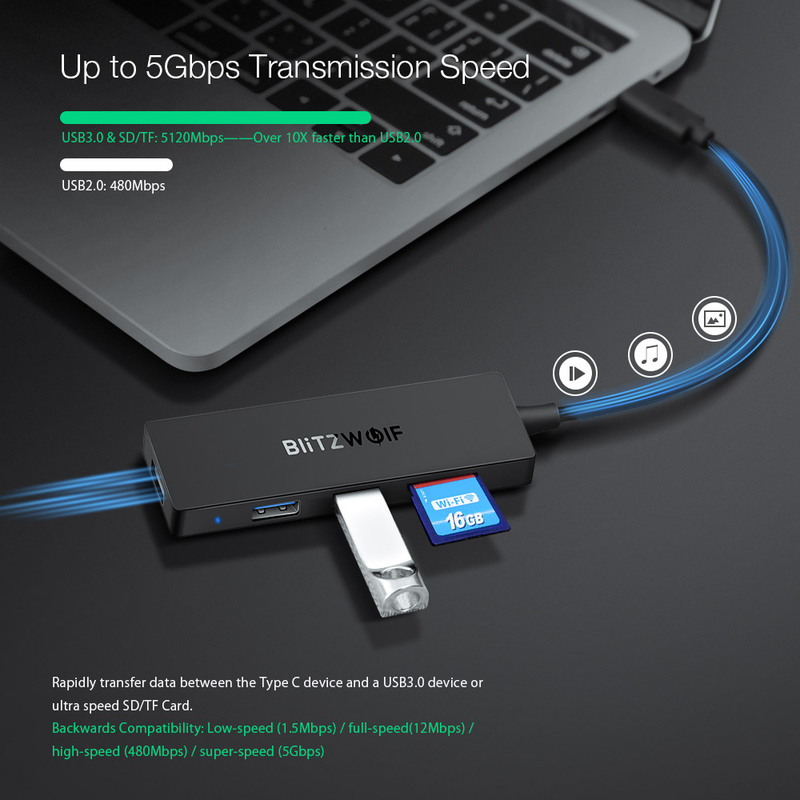 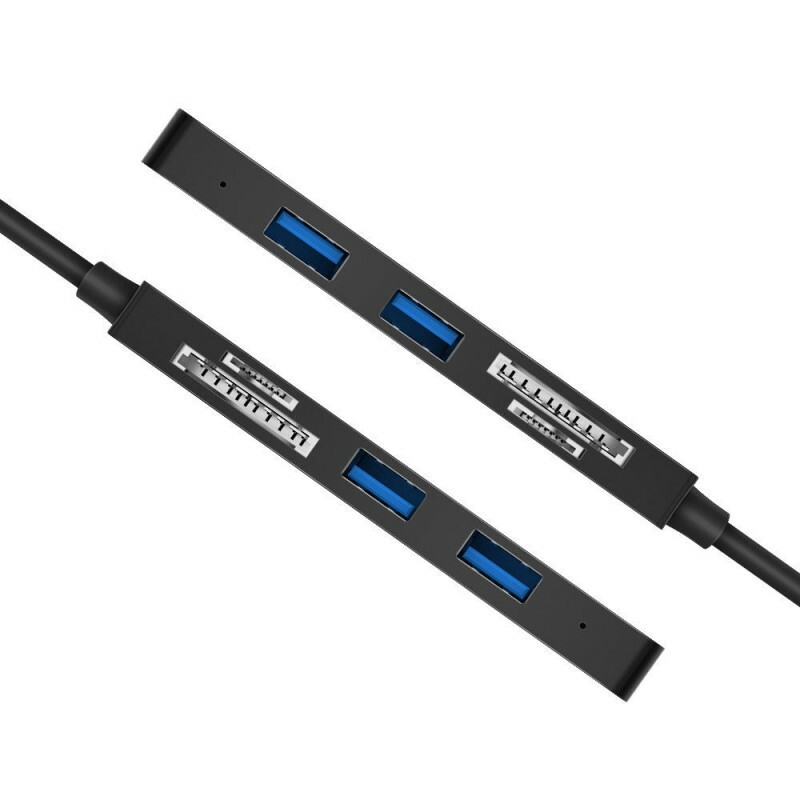 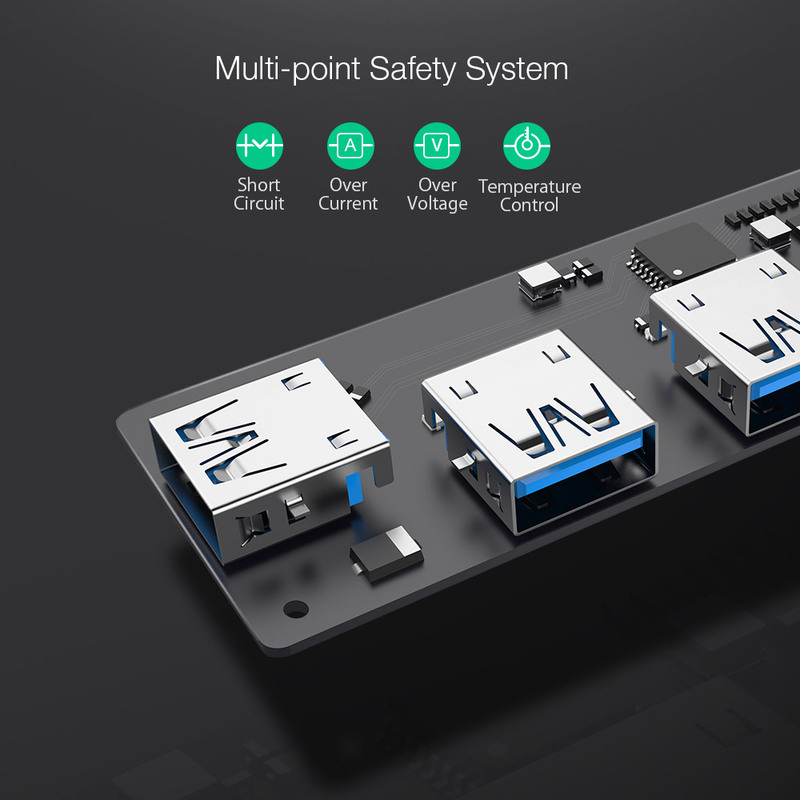 5Gbps USB 3.0 Transmission - Supports super speed data transmission between a USB 3.0 compatible host and device. 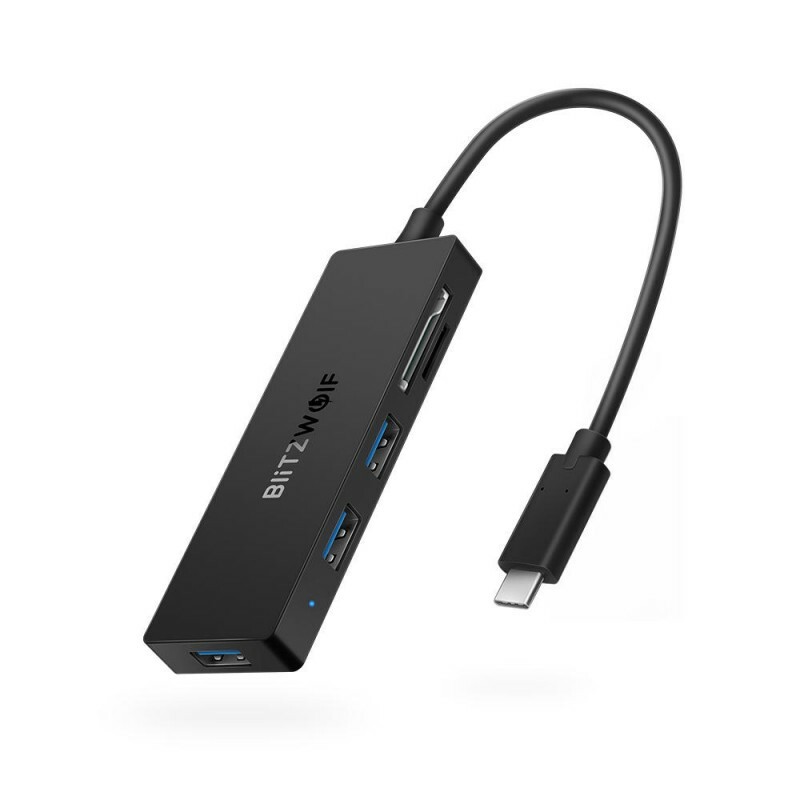 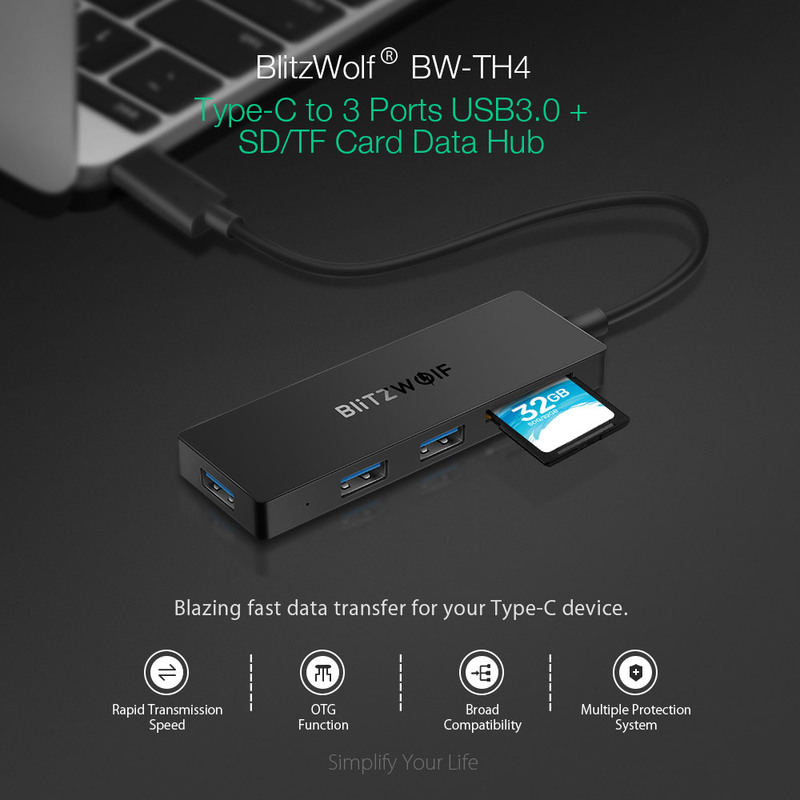 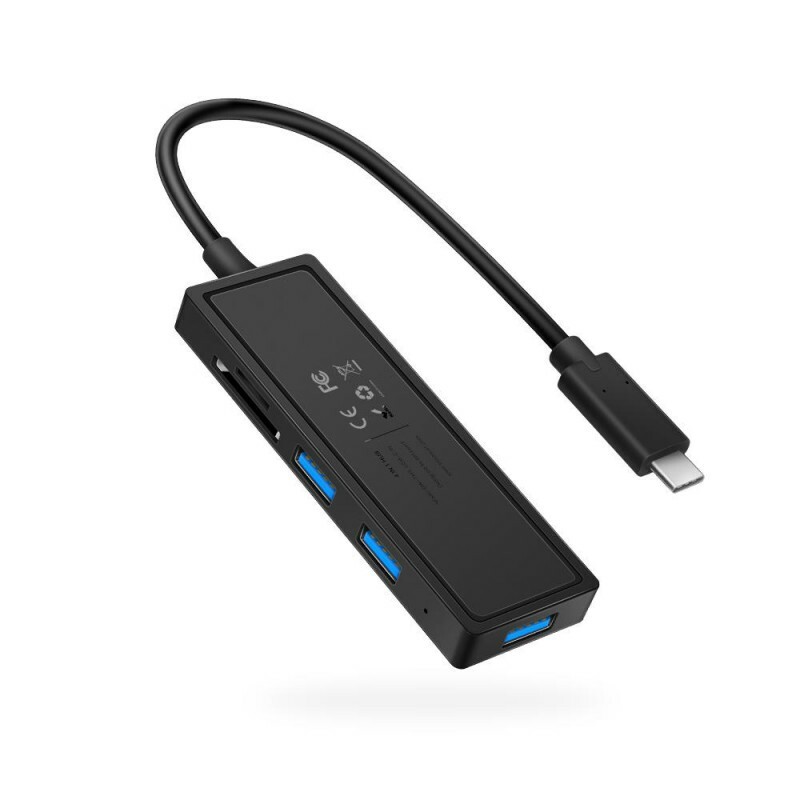 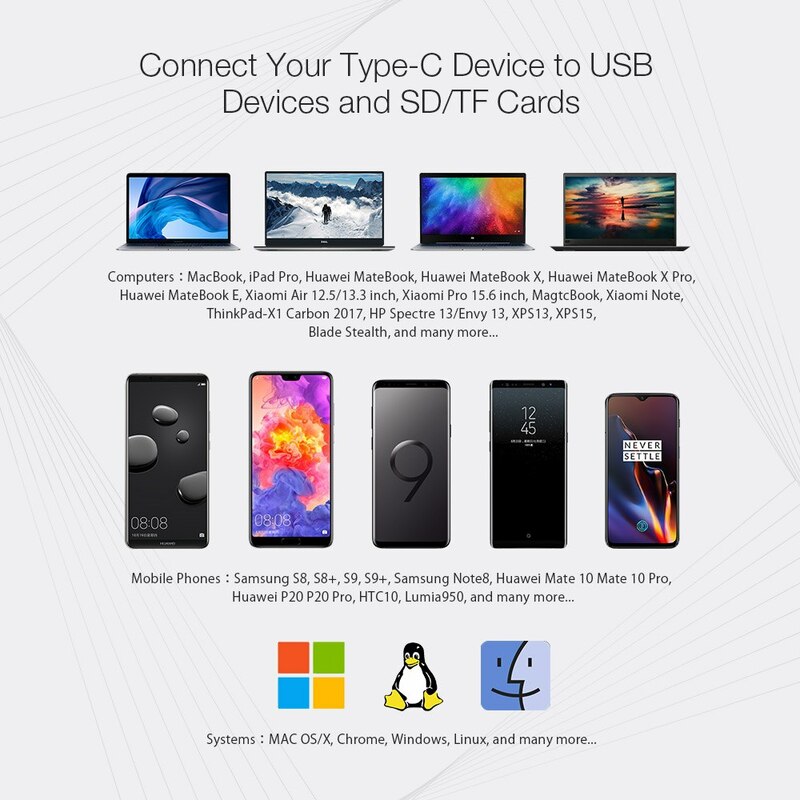 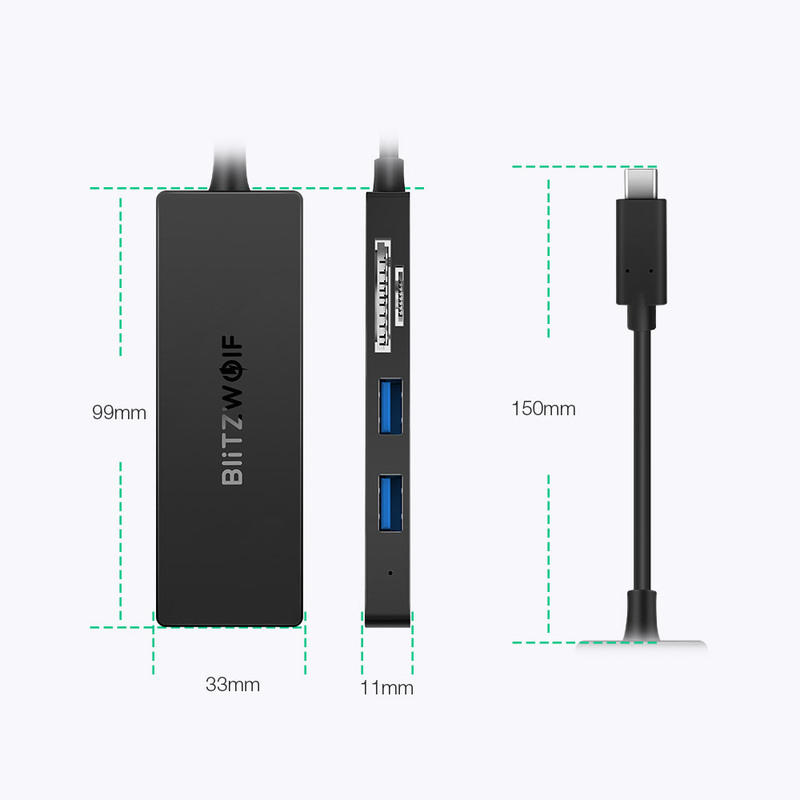 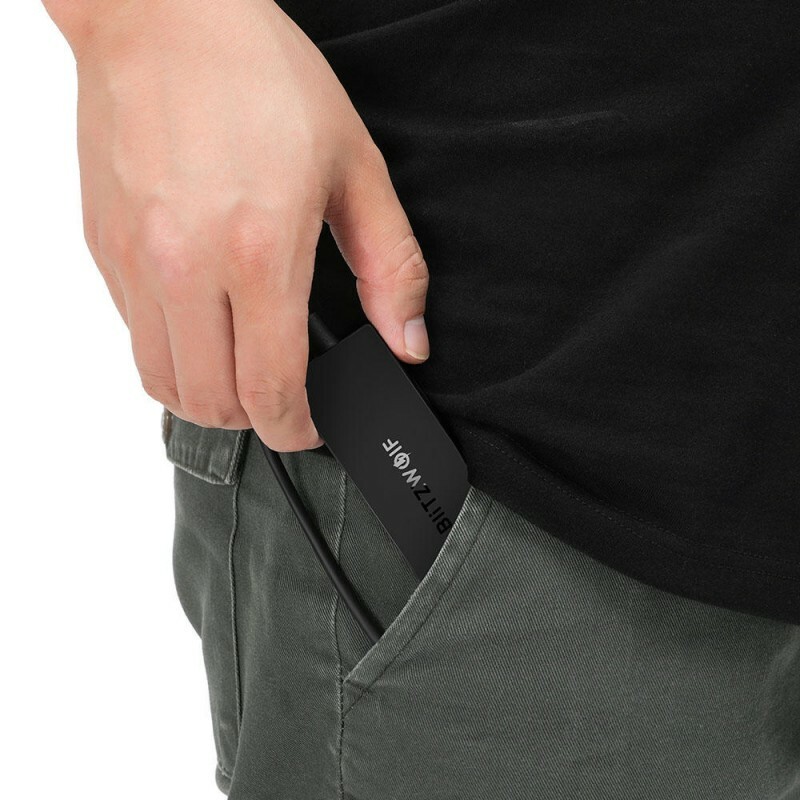 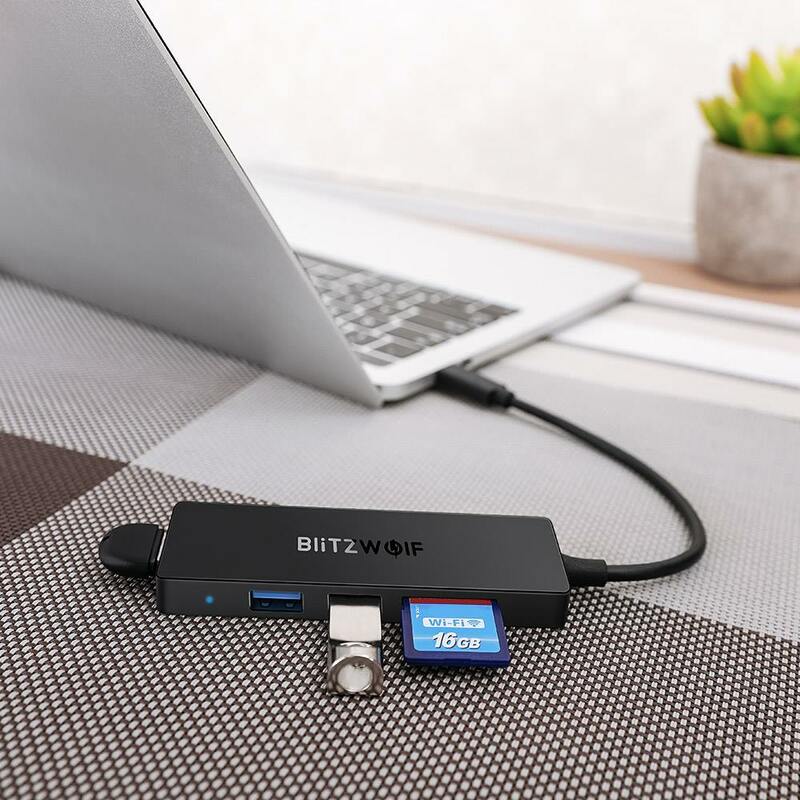 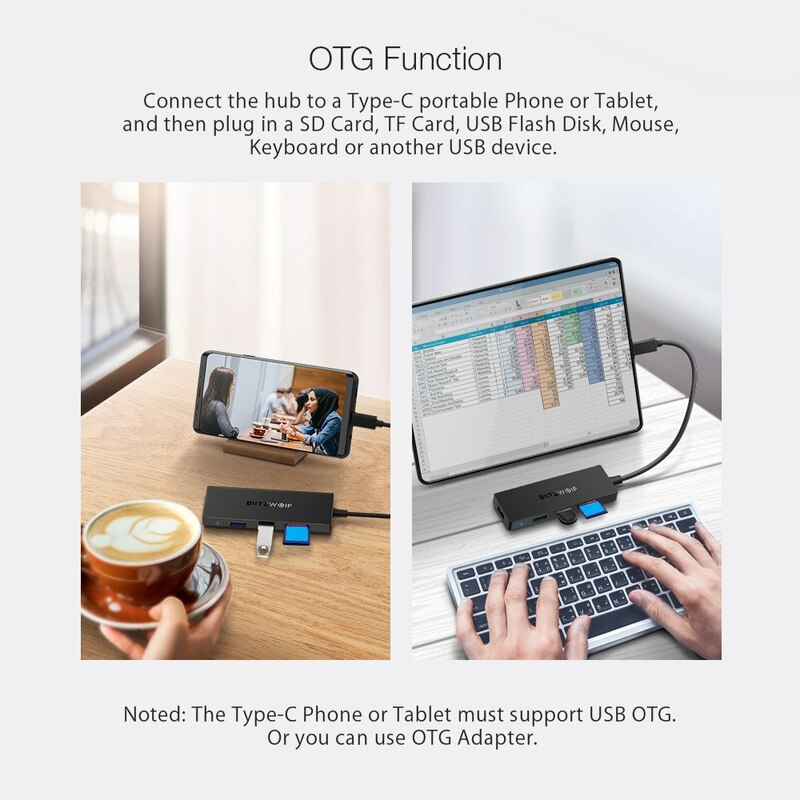 OTG Function Supported - Plug the hub into your mobile phone or tablet and you can connect an SD card, TF card, flash drive, mouse, keyboard or other USB device. 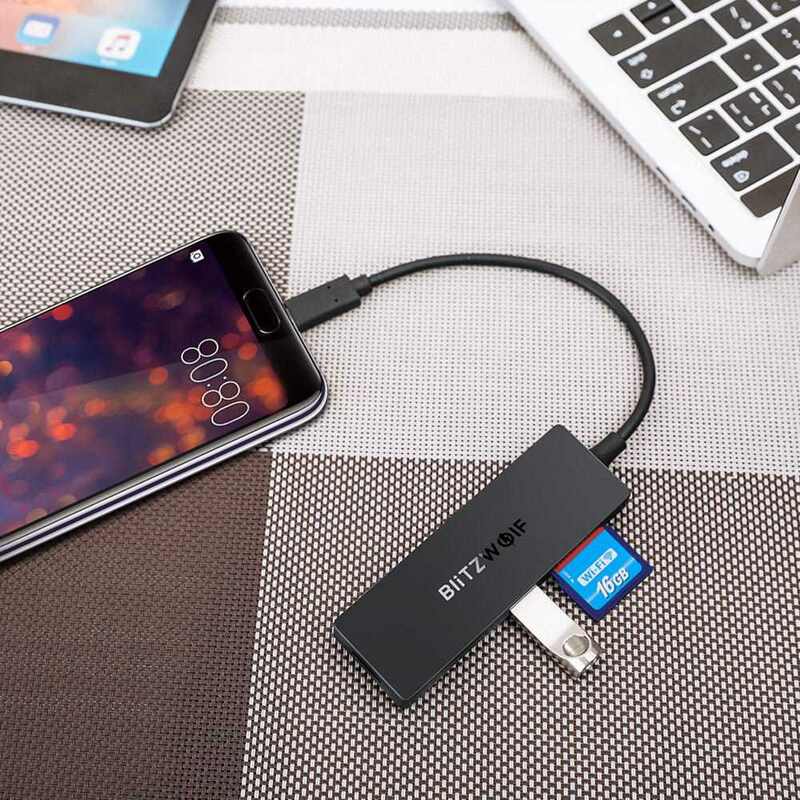 Please note that the mobile device must support OTG function as well. 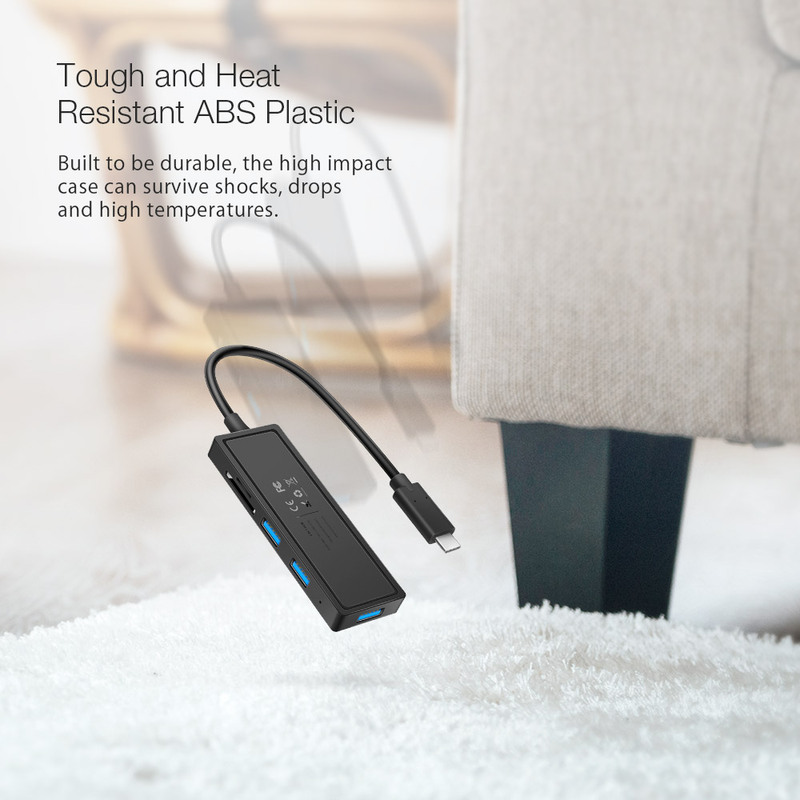 Attractive Appearance and Portable - Looks great on your desk and easily fits in your pocket or backpack when you travel.